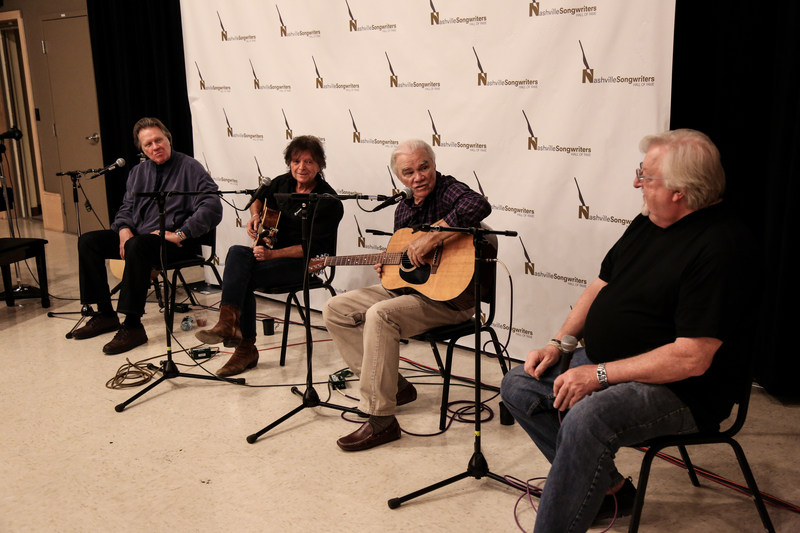 Belmont hosted the newest members of the Nashville Songwriters Hall of Fame for an event on Oct. 20. Presented by the Wayland Holyfield Speaker Series, this was the third year the Curb College of Entertainment and Music Business has hosted the Hall of Fame’s most recent inductees on campus. Chairman of the Nashville Songwriters Foundation Pat Alger, who is also a member of the Hall of Fame, moderated the evening. Two of the 2015 Inductees, inducted Oct. 11, Mark James and Even Stevens, were present with fellow Hall of Fame member Dickey Lee, and the group talked about their careers, played songs and answered questions from the audience, which primarily consisted of Belmont songwriting majors. More information on the inductees can be found on Music Row.